Before Binbin Wang’s Mitacs-Accelerate internship with energy company Nexen Inc., he knew “next to nothing” about crude oil trading. In four short months, under the guidance of Dr. Tony Ware from the Department of Mathematics and Statistics at the University of Calgary, he was able to learn all he needed to know in order to complete his goal of estimating the economic viability of implementing a trans-mountain crude oil pipeline to Nexen’s headquarters in Calgary. By building two stochastic models and using the Monte Carlo simulation method, he was able to provide Nexen with a profile for the value of the pipeline to the company, in a format they could update and modify even after his internship was finished. For Nexen Inc., participating in the Mitacs-Accelerate program enabled them to find the innovative, fresh perspective they needed to accomplish the essential task of pricing out the new pipeline. Because Mitacs funds a portion of the internship, Nexen was able to bring in high-quality research personnel like Binbin at an affordable rate. 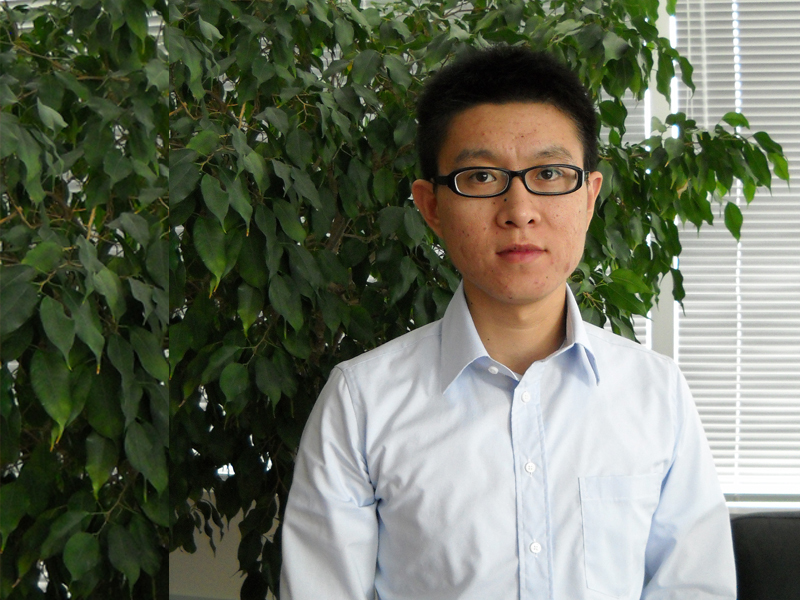 After his internship was complete, he left Nexen with two working models that could be developed further – meaning his positive contribution would continue long after he returned to his studies. During his internship, he gained valuable knowledge of the business world, the ability to apply his theoretical research to real life problems, and improved communication skills that will serve him for the rest of his career. “In real work environments, you have to know every detail of the model, the company and its objectives in order to complete a task,” Binbin reports, “you learn so much in such a short period of time.” The communication skills and industry networks he developed during his time with Nexen recently landed him a competitive job at a software company. He feels more prepared for his future career after his internship and is excited about meeting new people and facing new challenges. Mitacs thanks the Government of Canada's IRDI Internship Program, Western Economic Diversification and the Government of Alberta for their support of Mitacs-Accelerate in Alberta.